The F 16s Here is an electonica band which takes influence from trip hop, rock and dubstep. Five guys, out of which three haven’t even finished college yet! They’ve performed in cities across India since 2012. Try their song ‘Little Forest Cry’ to hear that extra oomph. The Family Cheese It may sound cheesy, but this blues/progressive band is an explosion of fun. Settled in Mumbai, these 3 guys give a rock n’ roll vibe. The unique part is that their drummer is also their vocalist. Parvaaz Bangalore-based rock band Parvaaz gives tones of blues, rock and psychedelia. Their lyrics comprise of beautiful Urdu and Kashmiri poetry. Caught your attention, didn’t it? Parvaaz is an Urdu word meaning flight. Fly away with their music! The Local Train Craving songs like those in Rock On? Here you go. The Local Train is an Indian rock/ pop rock band. 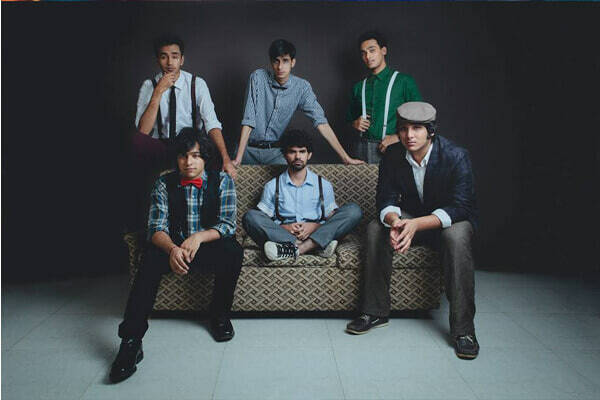 Arising from Delhi, these guys were ranked #1 by Sennheiser for India’s Top 50 emerging artists. Hit singles, intense videos and explosive acts make this band an all rounder. Spud In The Box 6 guys full of passion formed this alternative rock band with catchy and clean music. Their album was released last November and is called ‘Manic’. They brainstorm in a living room in Mumbai filled with a curious cat, a broken typewriter and a scribbled whiteboard. Loved these underrated bands? Now try out the songs from these underappreciated movies.